The donations will be divided equally for each fire victim. 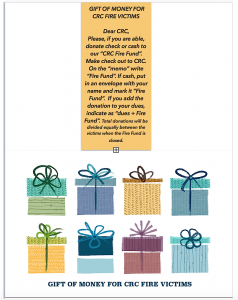 CRC will give each victim a check for the December Holidays. It is our gift to them. Please donate if you are able. THANK YOU SO MUCH!